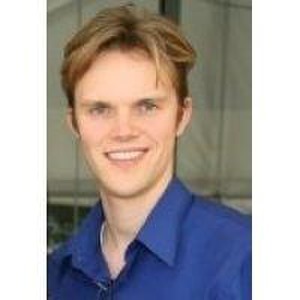 Dustin Callahan has performed extensively throughout California as a solo artist presenting standard classical literature and original works, as an accompanist for vocalists, and in chamber ensembles. 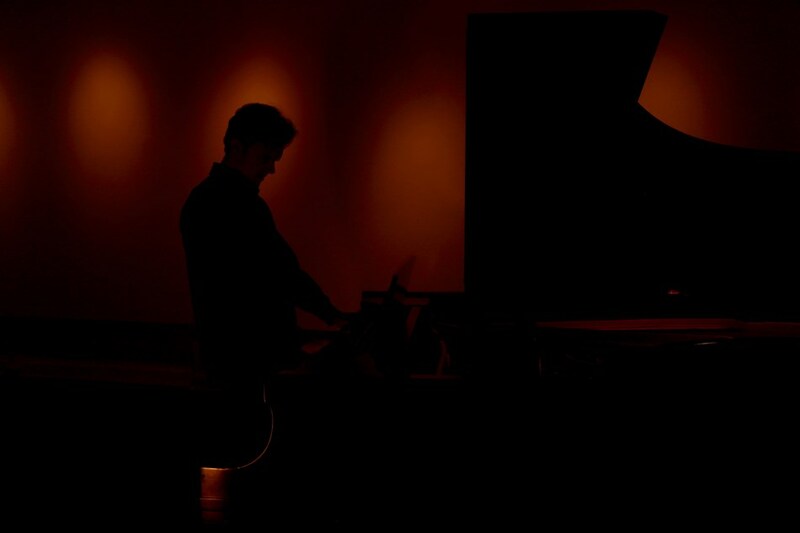 As a pianist for parties and events he has performed for weddings, receptions, Christmas parties, cocktail parties and everything in between, even funerals. He plays a wide variety of background music and has performed for several dozen secular and traditional weddings throughout California in recent years. Dustin is very familiar with the Catholic wedding ceremony, having performed as both pianist and organist for several weddings at the Mission Church at Santa Clara University in California and surrounding areas. He is currently a teacher of applied music and a collaborative pianist for the Marymount California University Choir. With undergraduate degrees in piano performance and composition, Dustin has a Masters of Music in Composition from the University of Cincinnati College-Conservatory of Music. Dustin can perform anything from Classical (Chopin, Debussy, Beethoven etc.) to Broadway classics, wedding classics like Schubert's Ave Maria, light jazz and Sinatra, and current pop standards. Upon request, Dustin can also perform any number of his original neo-romantic compositions for piano. Additional musicians (violin, cello, flute, voice, viola) and instrumentation can be added or modified to perfectly match your entertainment needs. Upon booking, Dustin will accommodate every last request and learn any song you desire, making your special day even more special. On some occasions a piano may not be available at the venue; or, perhaps you would like to have music for an outside reception or party. 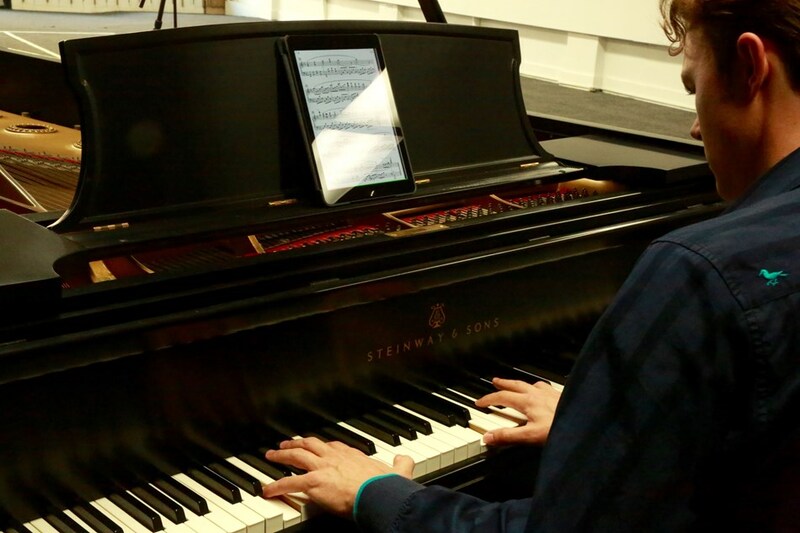 Rest assured, his portable full-sized keyboard features rich acoustic piano sounds that are sure to impress. He also uses a 300 watt full-size keyboard PA with sonic enhancement. Samples are available in the Media section of this site. Since 2010, he has booked over 80 gigs through Gigmasters and in 2013 was granted the Best of Gigmasters award for having over 20 five-star reviews. With over 10 years of professional piano experience, he will go the extra mile to make your next big event first class. Book Dustin now and he will personally work with you to ensure that the music is tailored exactly to your needs. Dustin performed at our Christmas party and he was amazing. He arrived on time, setup and filled our house with wonderful holiday music His song selection was excellent he played not only holiday music but contemporary and classical as well. He really made our night special. Our guests are still talking about how talented he is and what a nice person he is. I highly recommend Dustin and will hire him for our next Christmas party or for any occasion which having a pianist perform is the entertainment of choice. .
Dustin was amazing! Such talent! He was so quick to reply to my e-mails-very professional and personable too! Having Dustin play such great piano music ( he knows every song!) was the perfect way to enjoy cocktails before dinner. His music set the mood for a wonderful party! This was my first experience using Gigmasters, and it could not have worked out any better. We selected Dustin to play our piano at a holiday party we hosted, and we were extremely happy we did. Dustin showed up on time, professionally dressed, and immediately started playing beautiful holiday music. He played a variety of classic and contemporary songs, and really had a feeling for the crowd and the mood, knowing appropriate times to play loud or softly. It was a pleasure to have him play at our party and hope he will return again sometime in the near future. Thank you Dustin! We hired Dustin to play during our son's rehearsal dinner and cocktail party at an outdoor venue in La Quinta, where it never rains...except for the weekend when there is a big wedding planned and historic rains, winds, and floods roll in! Dustin could not have been more accommodating during the planning and booking process but I especially appreciated his flexibility the evening of the event when the weather forced a change of plans. Dustin was prompt, professional, and delightful in every way. Our guests loved the special touches he added to the evening, even graciously honoring some last minute requests and additions to his repertoire. Highly recommend Dustin! It is difficult for me to put into words what a tremendous addition Dustin's music was to the cocktail hour of our daughter's wedding reception. His piano talents set the mood for a glorious evening. His appearance was impeccable and he is a charming young man. Our guests raved about the ambiance created by his wonderful music. I recommend you leave this play list up to Dustin. He reads the crowd and selects the right music for the moment. My only regret was that we hired him just for the cocktail hour! I could have listened to this top notch musician all evening! We hired Dustin to play at our family's small Christmas Eve gathering. Dustin played beautiful Christmas music as we were finishing up our cooking and enjoying some appetizers, by the end of his time with us we were all sitting around the piano listening and making requests all of which he easily fulfilled. He was absolutely perfect filling both roles as background music pianist and as full blown entertainer. We were amazed by his talent and ease on the piano. Days following the gathering, I received emails from my family and every one of them mentioned how incredible Dustin was and how he made it such a special evening. Thank you Dustin! Dustin Callahan did a wonderful job playing piano for our ceremony at the San Diego Museum of Art. My husband and I love animated films, we so had a lot of special requests for the songs we wanted performed during the ceremony. Dustin played every song we asked for and even learned a new song we requested. After the ceremony, we had multiple guests tell us how much they loved the music. Usually people have a violinist or harpist for their wedding, so everyone thought it was so unique to have a pianist instead. Dustin plays beautifully and is very easy to work with. I would definitely recommend him to anyone looking for a personalized experience. Dustin was just the perfect person for our Christmas Party. He had a large array of music, and people just loved it. Thank you Dustin for helping to make our event a success! My wedding guests had nothing but great things to say about Dustin. His music was beautiful and created a perfect atmosphere. I would definitely recommend him for any event. Please note Dustin Callahan will also travel to Bonsall, Temecula, Camp Pendleton, Oceanside, Pala, San Luis Rey, Vista, Murrieta, Nuevo, Winchester, Valley Center, Carlsbad, Escondido, San Marcos, Atwood, Pauma Valley, Wildomar, Menifee, Palomar Mountain, Encinitas.